The John Simon Guggenheim Memorial Foundation has awarded competitive fellowships since 1925 to those “who have demonstrated exceptional capacity for productive scholarship or exceptional creative ability in the arts.” The roll of fellows includes numerous Nobel, Pulitzer, and other prize winners. 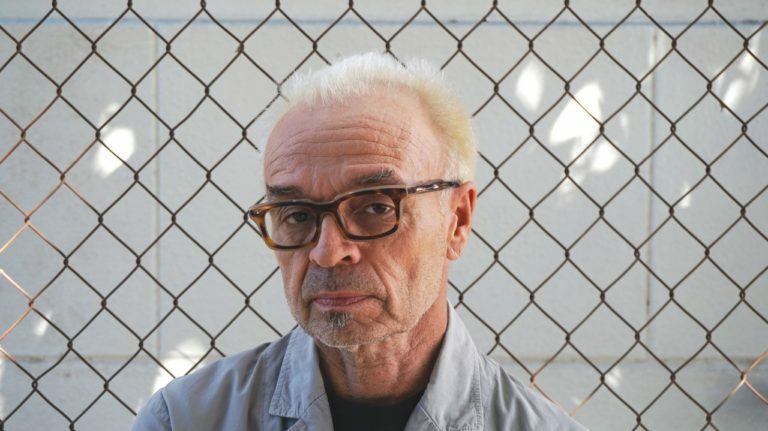 Earlier this month Daniel Martinez, Claire Trevor Professor of studio art and one of our nation’s foremost contemporary artists, joined this impressive company as our campus’s 34th Guggenheim Fellow. This is just the latest of many honors for Professor Martinez, whose work can be found in private and public collections in the United States and abroad, including the Whitney Museum of American Art in New York, the Los Angeles County Museum of Art, and, locally, the Orange County Museum of Art. Congratulations, Professor Martinez! We often talk about UCI’s combining the scope of a large research university with the feel of a small college. And it’s true. We offer degree programs across the academic landscape, providing nourishment for any intellectual pursuit, but at the same time we take personal interest in the success of our students, walking beside them as they work toward their degrees. Here’s an example that illustrates what I mean. Rigoberto Rodriguez, a farmworker’s son, came here in the winter of 1988. He struggled at first, but then found his footing, thanks to the mentoring of one of our great faculty. Today he’s a professor himself, passing along the important lessons he learned here. His success is our success – it’s joyous to see what a person can do with an education worthy of his talent and promise, and with a little help along the way. We started UCI Applied Innovation a few years ago as a way to support, encourage, and advance new companies, products, and services developed by our faculty and students. Today it’s a thriving environment, filled with hopeful entrepreneurs, nascent businesses, and experts on everything from funding to branding to packaging. 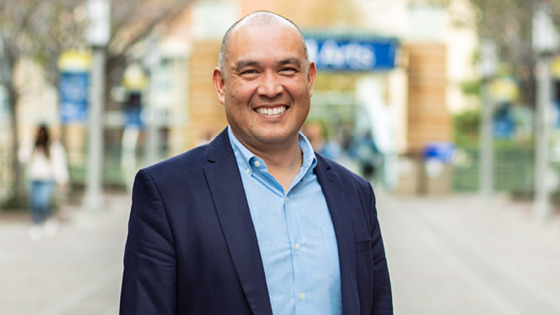 One recent successful graduate of this innovation pipeline is AVIAA, an international group purchasing organization for business aviation whose CEO is Gillian Hayes, professor of informatics. 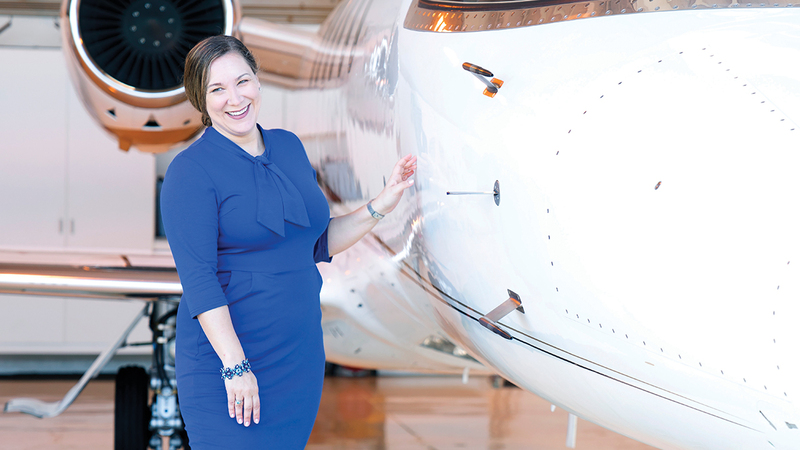 She used her computer science skills and the expertise and advice offered at Applied Innovation to grow her company and establish it in the aviation marketplace. Congratulations to Professor Hayes on her success and to her mentors at The Cove on a job well done. The UC National Center for Free Speech and Civic Engagement, which is based here at UCI, held its inaugural national conference on March 21 at the UC offices in Washington, D.C. The topic was “Speech Matters: The Future of Free Expression on Campus,” and policymakers, opinion-shapers, and influential academics, including UC President Janet Napolitano, New York Times op-ed columnist Frank Bruni, and Erwin Chemerinsky, dean of the UC Berkeley School of Law and previously founding dean of the UCI School of Law, gave their perspectives on the future of civic discourse and engagement in American life. Three students from each UC campus were invited to attend the conference. 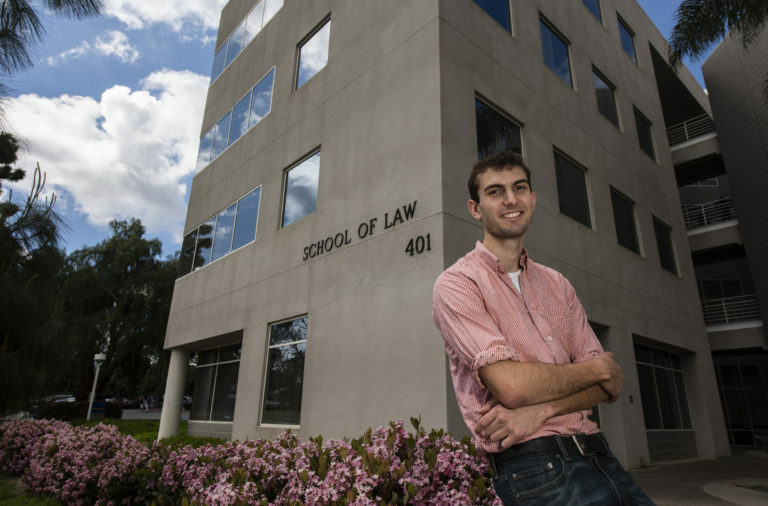 One of the UCI attendees was Henry Glitz, a first-year law student, who reportsthat the conference helped him understand that the First Amendment on its own may not be enough to handle today’s free speech issues. Henry’s goal is to be a media lawyer working on First Amendment issues, so I’m sure we will be hearing more from him in the future. Good luck, Henry. One of UCI’s three core missions is public service – using our knowledge and skill to benefit our neighbors and our region. That is why we not only have the Susan and Henry Samueli College of Health Sciences, which trains future doctors, nurses, pharmacists, and public health practitioners, but we also have the academic medical center in Orange, the medical plaza on campus, and our ancillary clinics and offices around the region, where our health professionals see and treat patients. 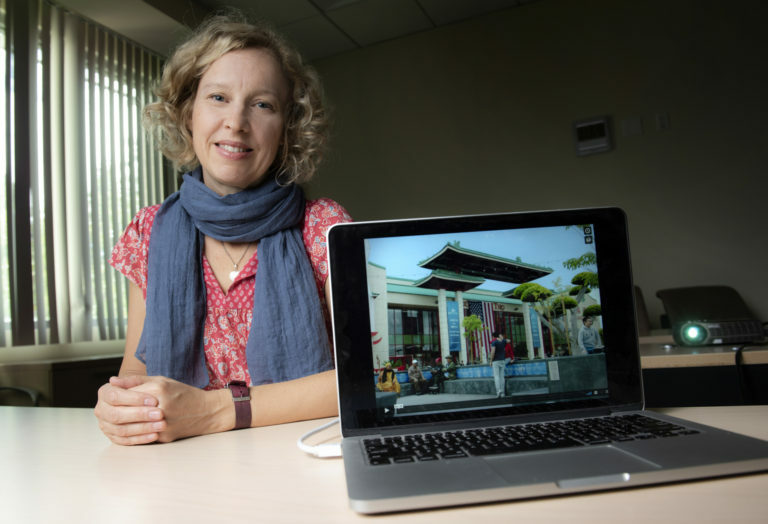 But a lot of people don’t like going to see a doctor, so Suellen Hopfer, assistant professor of public health and a specialist in medical and risk communication, develops videos and other messages that use emotion, humor and nuggets of information to overcome objections and fears. Her latest project aims to increase colon tumor screenings, Pap tests and HPV vaccinations among Vietnamese Americans, especially older generations who are wary of Western medicine or follow cultural taboos against even discussing cancer. This pilot program is funded by a grant from the annual UCI Anti-Cancer Challenge fundraiser, which takes place this year on June 8 in Aldrich Park, right in the center of campus. Please come out and join us in supporting Professor Hopfer’s innovative work and the many other programs made possible by this event. UCI was founded in 1965, but what really made people aware of us as a research university was the publication in 1974 of the extraordinary discovery by F. Sherwood Rowland, founding chair of the Department of Chemistry, and Mario J. Molina, his postdoctoral research associate, that chloroflourocarbons were a major contributor to ozone depletion in the stratosphere. The ozone layer makes life on earth possible, and this breakthrough ultimately led to global regulation of chlorofluorocarbon production and the 1994 Nobel Prize in Chemistry for the two scientists. Professor Rowland’s Nobel citation said he “may have saved the world from catastrophe.” Earlier this month PBS aired a documentary on the vital research and the world’s response to it. It truly illustrates how important research universities are in solving the great problems confronting humankind. Celebrate UCI, our annual spring open house event, will be held on Saturday, April 20. Please join us as we welcome new Anteaters, their families and the community to learn more about our renowned academics; tour our campus, housing and recreational facilities; enjoy student performances; and more. Many academic units and student services offices will be open or available to answer questions. Events and parking are free. It’s an enjoyable day for the whole family. UCI is holding its third annual Giving Day on Wednesday, April 24, just one week from today. 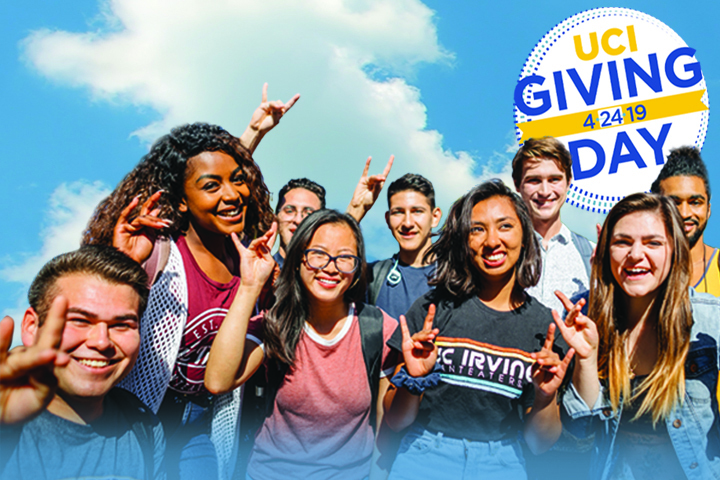 Giving Day is a 24-hour online giving campaign bringing the greater UCI community together to celebrate the Anteater spirit and support vital programs. Our first Giving Day, in 2017, brought in more than $1.4 million from 1,824 gifts. Last year’s Giving Day was even more successful, resulting in more than $4 million from 2,604 gifts! This year we’re hoping to raise even more money from even more faculty, staff, students, alumni and friends. As a donor, you can support any particular area on campus that you choose. All gifts are directed exactly as you specify. Please join me next Wednesday in supporting Giving Day on our campus.